To generate the scientific evidence needed to understand and mitigate the risks posed by the chemicals and genes driving antimicrobial resistance in the environment. A series of projects are described below, all of which are funded through UKRI to address the challenges of antimicrobial resistance in the environment. The NERC Centre for Ecology & Hydrology has been conducting research into ‘antimicrobials in the environment’ since 2007. The mid-point of that decade saw a huge stockpiling of antivirals to prepare for what appeared to be an imminent H5N1 influenza pandemic emerging out of South-East Asia. To the surprise of the global community, an H1N1 influenza strain emerged in 2009 from northern Mexico/southern United States and rapidly spread globally. The widespread use of the antiviral oseltamivir (Tamiflu) in most high-income countries presented a unique environmental hazard—the widespread use of a novel drug in a short span of time. A more thorough description of this research can be found here. Two years after the 2009 influenza pandemic saw the publication of Dame Sally Davies’ 2011 Annual Report vol 2, which brought the national and global crisis of growing antimicrobial-resistant infections to the forefront. The report facilitated the inclusion of the challenge of antimicrobial resistance on the National Risk Register, which joins pandemic influenza and emerging infectious disease. Two years after the 2009 influenza pandemic saw the publication of Dame Sally Davies’ 2011 Annual Report vol 2, which brought the national and global crisis of growing antimicrobial-resistant infections to the forefront. 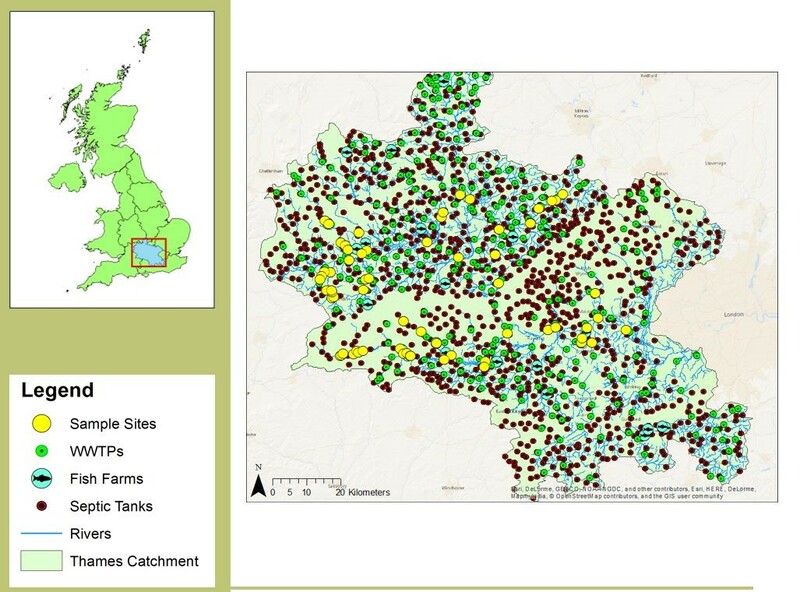 CEH collaborated with Warwick, Exeter and Rothamsted to examine the reservoir of antimicrobial resistance in English rivers and the relative contribution of wastewater and land use to the prevalence of resistance (as measured by class 1 integron prevalence (see publication)). The same team secured funding through NERC’s “Environmental Microbiology & Human Health” call to thoroughly characterise the resistome within the Thames Catchment. DNA extracted from sediment at 69 locations across the catchment have been interrogated using culture-based microbiology, qPCR to quantify antibacterial resistance genes and high-throughput sequencing to assess the diversity of resistance genes present at a location (Figure 1). This molecular understanding of the resistome was combined with our understanding of the environmental factors (wastewater treatment works, farms, aquaculture, urban runoff, canals and land use) and chemical analysis of the water to develop a model that can predict the prevalence of antibacterial resistance at any location in any catchment. Figure 1. Visualisation of some of the variables considered in the development of a model to predict ARG prevalence in a catchment. 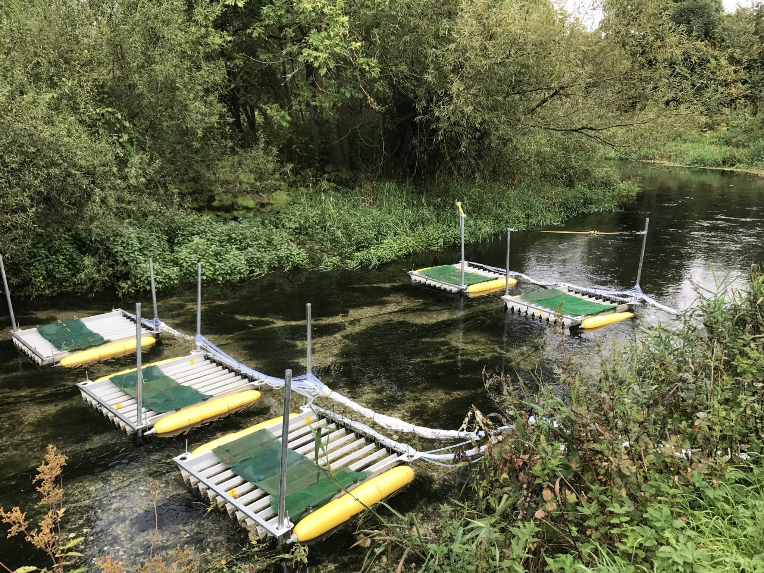 The Thames catchment study will help to determine the relative importance of different pathways that chemicals can take to enter the environment for selecting for and maintaining AMR. However, the study will not be able to conclusively determine which of the many chemicals in each of these pathways (antibacterias, antivirals, antifungals, antiparasitics, heavy metals, and biocides) is most important for driving AMR at any one location. A review paper, led by CEH and co-authored by Defra and the Environment Agency, explores this knowledge gap and their relevance to environmental regulators who are charged with mitigating this risk. To address a small component of this knowledge gap, CEH is currently leading a Cross Research Council-Funded AMR in the Real World project, that aims to quantify the relative importance of a subset of antibiotics, metals, biocides and antibiotic resistance genes for driving and maintaining AMR in freshwater systems. The study is employing in situ river mesocosms (aka flumes), which allow for the replication of a river, within the river (Figure 2). Figure 2 Armada of five flumes with nine replicate channels each. Green cover is to shade tiles/sediment. Tubing is to allow pumping of antimicrobials into each channel to achieve desired concentrations. These pseudo-replicate rivers can be amended with an antimicrobial at a range of concentrations to determine the minimum selective concentration (MSC; e.g., the lowest concentration of an antimicrobial that allows for the selection of the corresponding resistance gene(s)). The MSC could potentially be the regulatory target for an antimicrobial, thereby limiting the selection and dissemination of antimicrobial resistance. Katja Lehmann is leading on the implementation of the flume studies and their analysis using high-throughput deep sequencing and the downstream bioinformatics, while John Day is leading on the quantification of resistance genes and the method development and implementation of techniques, such as ‘inverse PCR’ and ‘epicPCR’. Continued work in the area of AMR in the Environment aims to raise the profile of the importance of antimicrobial resistance in the environment for environmental and human health—a message that has (so far) been poorly adopted by policy makers. A few key publications (1, 2), blog and policy brief have been published highlighting this policy gap. CEH has a growing and thriving group of students who are examining different aspects of the challenges of AMR in the Environment. Holly Tipper is a second year PhD student based in CEH Wallingford, supervised by Andrew Singer with co-supervision from Andrew Johnson at CEH and Will Gaze at the University of Exeter. Holly’s thesis will focus on examining the relationship between water pollution (antibiotic, biocide, metal load) in freshwater rivers and antimicrobial resistance selection in the microbiome of aquatic organisms from gammarus to fish to potentially water dogs (i.e., dogs that regularly swim) to otters. Her research involves collaboration with Jamie Lorimer at University of Oxford, Matthew Avison of University of Bristol and Liz Chadwick at Cardiff University. The aspiration is to use the microbiome as a proxy measure for antimicrobial selection, thereby simplifying and unifying the methodology for empowering environmental regulators and ultimately informing policy makers. Louis Jolly is a second year PhD student based in Penryn, Cornwall at the University of Exeter, suprvised by Will Gaze, Sean Comber at Plymouth University, and Andrew Singer at CEH. Louis’ research is on the role of metals in selecting and co-selecting resistance genes in the environment. His area of focus is the catchments that include historical mining in the mid- to western-parts of Cornwall, which has a long history of mining along with a commensurate pollution legacy. Jenny Shelton is just starting the first year of her PhD based at CEH, Wallingford and Imperial College London, supervised by Andrew Singer and Matt Fisher, respectively. Her research will explore the environmental drivers of fungal azole resistance. Jenny has an on-going research interest in fungal diseases of frogs, which you can read a bit more about here.